We have an excellent range of roof windows, perfect for every room in the house that are guaranteed to fulfil your home design requirements. Building Supplies Online has a wide, extensive selection of roof windows for you to ponder and deliberate over. We can provide you with Roof Windows by Room: bathroom windows, kitchen windows, living room windows, bedroom windows and balconies. 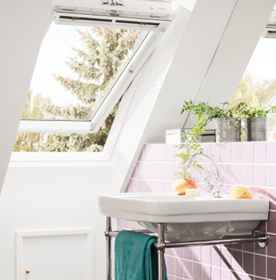 Velux bathroom windows require privacy, and therefore, would benefit from a glazed finish; to successfully obscure views. Also, due to the humidity and wet conditions that occur within a bathroom, it is important to select windows that will successfully withstand these circumstances. Velux kitchen windows are one of the most important features within the room, as they create a clean and crisp atmosphere. 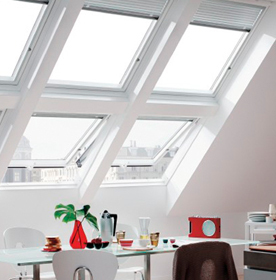 Velux room windows are also a crucial element within a kitchen, as they create natural lighting and natural ventilation within a cooking environment. We offer a variety of windows that are appropriate for a Living Room, that are suitable for various styles and tastes; from traditional to contemporary. 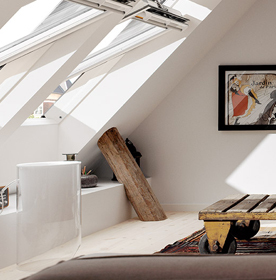 A velux living room window is somewhere that is typically bright, welcoming and spacious. Our range of windows will allow for extra sunlight, which will positively impact the atmosphere of any living room. 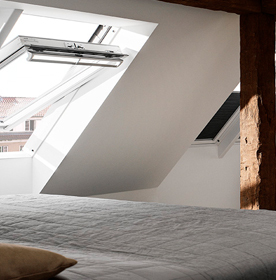 Velux bedroom windows play an important role in the atmosphere within the room. Although a bedroom is somewhere for privacy, windows allow for natural lighting to shine through. Electric/Solar windows and balconies are the perfect addition to any bedroom, as they create additional private space to enjoy, as well as being controllable from the comfort of your bed. Balconies offer a secluded and private space to enjoy from the comfort of your own home. Whilst enabling appreciation for fresh air, sunlight and beautiful views. A balcony is a beautiful addition to any home, that can be enjoyed for many years to come. 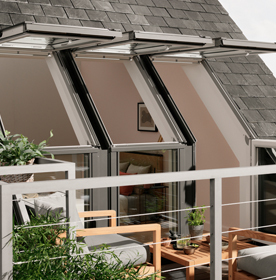 At Building Supplies Online we can offer you incredible value for money on your Velux room windows, with prices starting from as little as £142.86. 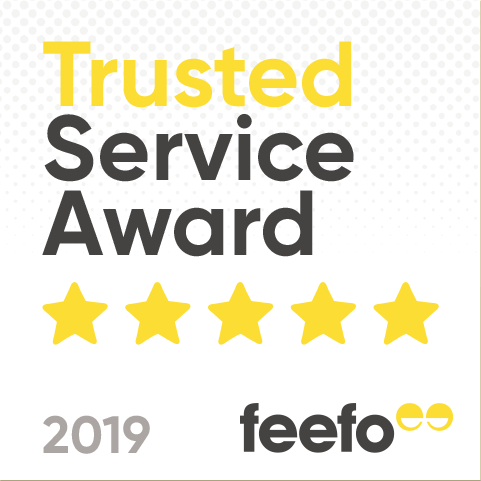 Should you have any questions regarding Velux room windows, or would like any other additional information on our extensive product range, please do not hesitate to get in touch with us.